HF01. The Gardener Doll - Man 6"
The size is 6 inch, hand printed, lacquer finished. 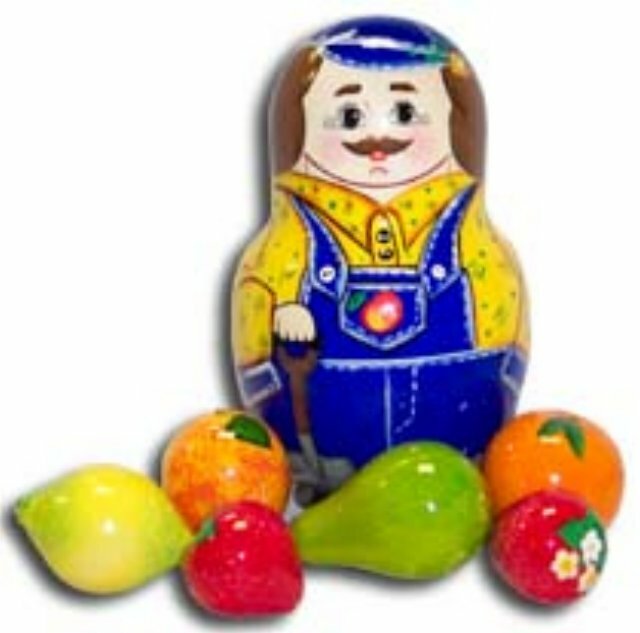 This doll is very interesting, inside you can find little toy fruits! It is a perfect gift! Ordered two sets of this doll, but the first 2nd one had a piece broken out of the back. Returned the doll for a replacement, but it is also cracked. Oh well….